An old Kabul street, still intact. There have been no restoration efforts for these buildings, and many like them have been destroyed. Photo by Kouki Mojadidi. Kabul, Afghanistan was a flourishing city before the Soviet Invasion in 1979. The destruction of the city during the Civil War, in 1992, left Kabul barren and in rubble. 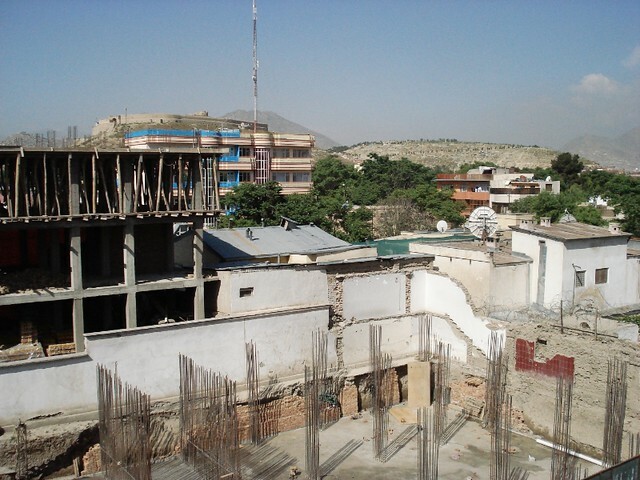 A newly established Afghan Government, in 2002, began absorbing a building boom driven by a flood of international development aid. Over the past 15 years, this overflow has morphed the face of the city into something unrecognizable. New construction in Kabul. Photo by Kouki Mojadidi. There were two main factors during the reconstruction effort that severely impacted the urban plan we see in Kabul today. The first critical aspect was land value and ownership. After the U.S. military seized control of the Afghan Government in 2001, the International Development community poured into Afghanistan, dramatically driving up the value of land that was once considered hopeless and forgotten. Afghan landowners who had migrated to other countries during the Soviet occupation owned both urban and rural land. In the early 2000’s, many of them returned to their native land to sell their family property to new buyers who were driven to turn a quick profit, and ultimately defaced Kabul’s authentic architectural language. Land that had been preserved for decades by tradition, family and culture fell into the hands of people disconnected and disassociated from that history. 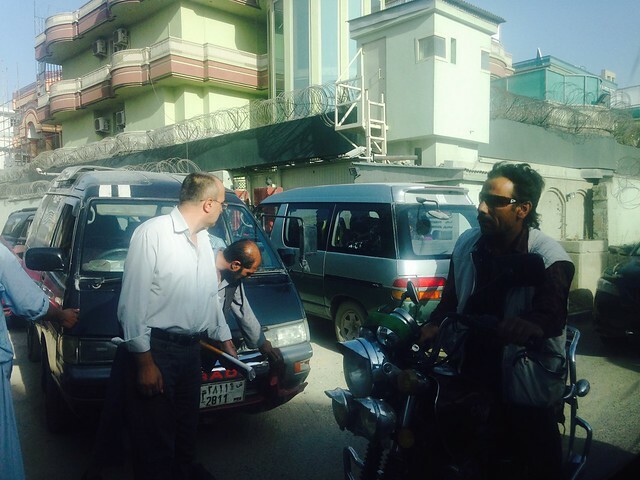 These new landowners constructed a new vision that was foreign and strangely schizophrenic to old Kabul City. 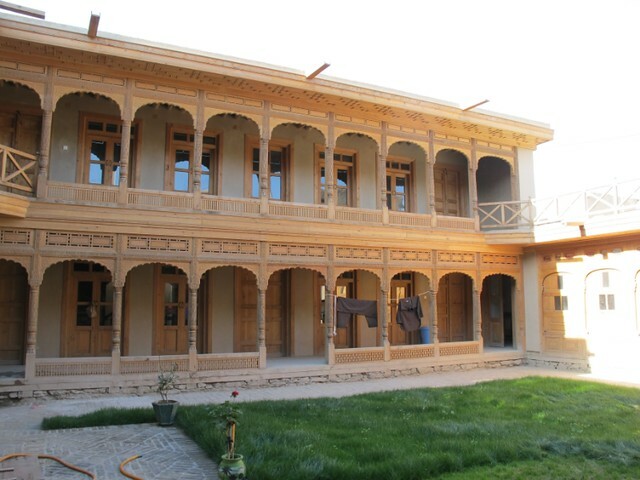 Traditional home in Afghanistan. Photo by Pancho Brown. 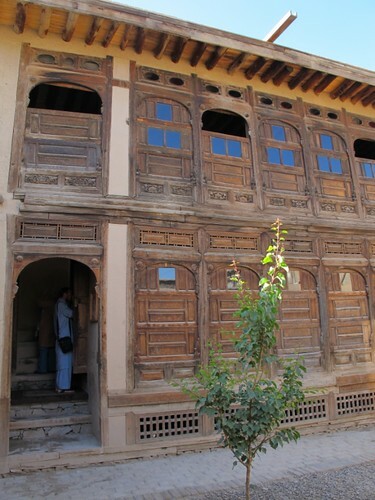 Afghanistan has a traditional style of construction using earth and straw known as pakhsa. Also found in the vernacular are the use of sundried bricks, stone and wood. These methods have been used for centuries because the materials are available locally, and Afghans have passed down this building method for generations. The walls act as a natural insulator, keeping warm in the winters and cool in the summers. Pakhsa buildings are easily maintained and repaired by the local community. 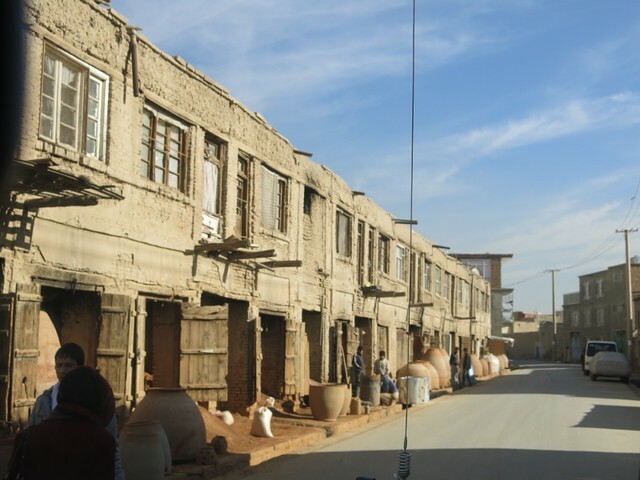 The traditional spatial planning for Afghan cities and towns is a passive system design in which the building plan relates to the trajectory of the sun, allowing for energy efficiency. Sensitivity to spatial planning has developed out of the historical context. Public and private space is defined by a hard line, and eased by the incorporation of interior courtyards or gardens to create social balance. This is a common part of the urban language. These buildings embody a cultural idea about space and a concept about Afghan communities functioning on all levels – the home, the neighborhood, and the city. Traditional home. Photo by Pancho Brown. Traditional mud home and courtyard. Photo by Kouki Mojadidi. Interior of a Kabul mud and brick built home. Photo by Kouki Mojadidi. 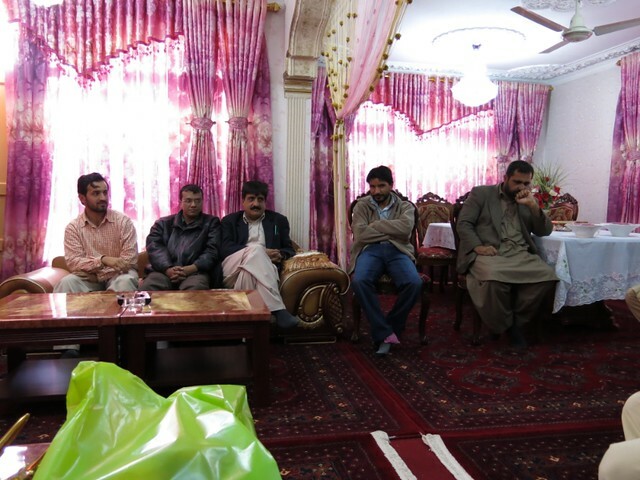 The second aspect, in parallel with land ownership, was the surge and sentimental high hopes for a new Afghanistan. Suddenly, a dramatic demand for new homes, buildings, reconstruction and infrastructure spread throughout the country. Afghans had just come out of 30 years of war leaving the remaining population illiterate, shell shocked, and unorganized. Many of those who were able had left the country and were living abroad. The Afghan design and construction industry was not able to revive itself in time to seize this new market. As a result, construction companies migrated from abroad to reap the benefits. Pakistani companies won a large portion of the new construction opportunities. Geographically, they could easily access Kabul, and over the decades had come to know Afghans, including the most entrepreneurial and powerful families in the country. Afghanistan’s borders were open to Pakistan. Old Kabul Style in front and Pakistani Style in background. Photo by Kouki Mojadidi. The architectural ornamentation of the new Pakistani-style buildings is like spiraling down a circus double dipped in a colorful kitsch aesthetics, a design language previously unknown to Kabul. 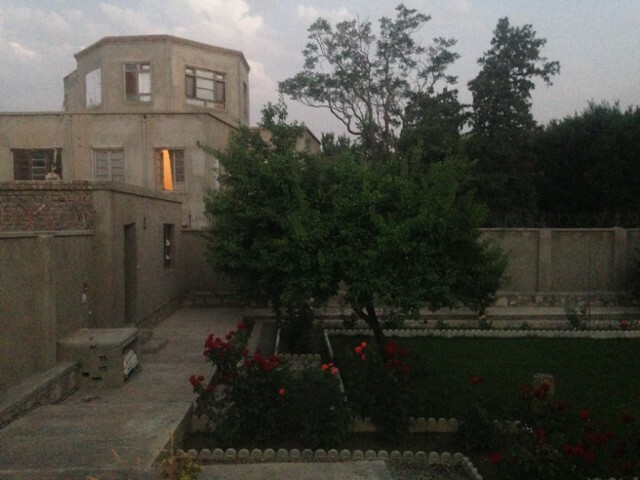 For example, this new Pakistani-style building was briefly occupied by expats, but subsequently became one of many vacant houses for rent in Kabul. These buildings are all constructed using reinforced concrete structure with concrete block or brick wall construction. Primarily, they do not use any added insulation, which makes these buildings frigid in the winter and very hot in the summer. They are not centrally heated, and rely on both traditional methods of internal burning stoves or wall mounted split units that demand more power than the existing city grid can offer. This shell is not energy efficient, it only takes energy. 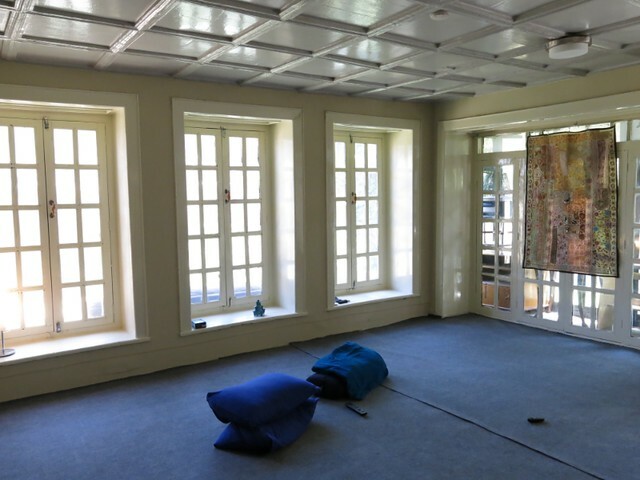 The spatial plan places an emphasis on creating lots of bedrooms and bathrooms with large grand staircase and high ceilings so that these spaces can be rented to several individual tenants, or larger families. 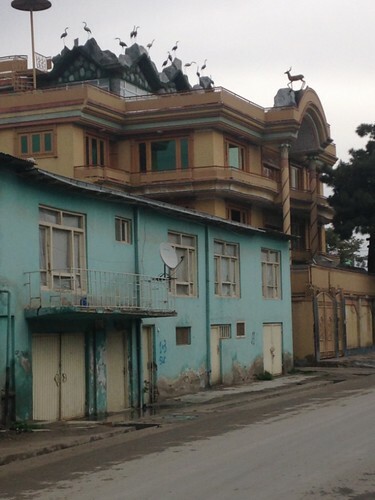 Expatriates living in Afghanistan began electing to live and work from these “palaces,” paying New York City and D.C. rents, and thus driving up the incentive to build more of these buildings. Today, even many local Afghans look at mud construction as an unpleasant reminder of poverty and past traumas. They are interested in this Pakistani grandeur, ornamentation and faux decadence as an answer to transitioning out of their past psychology. 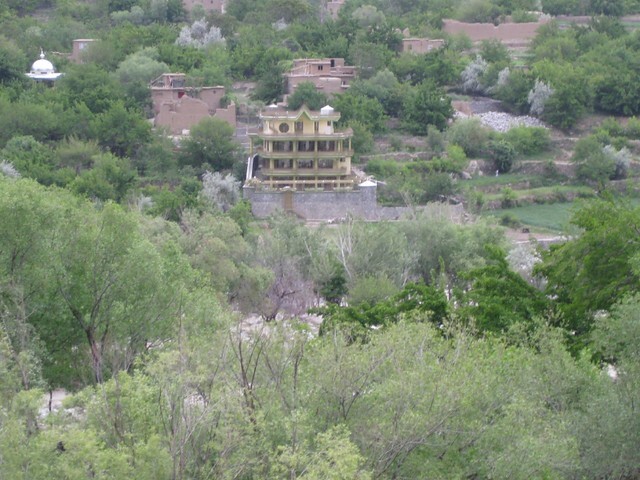 Pakistani-style house in rural Afghanistan. Photo by Kouki Mojadidi. Pakistani-style house and a traffic jam. Photo by Kouki Mojadidi. Inside a new home. Photo by Kouki Mojadidi. If traditional Afghan design and construction artisans and workers had the time to establish local businesses and build in their own communities the way they had been for decades, we might not have had all the instantaneous construction. Rather a Kabul that would have remained modest for a few decades, enduring the rubble, and dealing with problems from the ground up. Support was needed for hundreds of Afghani businesses to build thousands of new homes in the traditional building methods. This approach would have created jobs for Afghans, retained history, and built up a long-term local economy. Local economy is critical for any civilization wanting to move towards future stabilization, and to advance. If international development and Afghans could learn from their past, I hope they would remember, and endeavor, to invest in local identity, tradition and industry as the foundations of any stabilized and secure nation. Post by Kouki Mojadidi, and Afghan-American architect practicing in Afghanistan and New York City. Follow her blog, Uncensored Ninja.